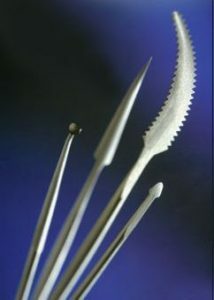 Design, manufacture and sale of modelling tools for pattern making, finishing processes, hobbies, crafts and education. Founded in 1989 M.G. Tools specialises tools for the ceramic and allied industries. The tools are designed for working soft malleable materials such as clay and plaster. The range includes tools for working with dry clay and plaster as well as moulding and shaping wet clay-like materials. Our tools are used throughout the world for use in industry, education and hobbyist craft work.